The French club AS Monaco FC has been under Russian ownership since December 2011 when Dmitry Rybolovlev bought a 66.67% majority stake—a landmark deal with Prince Albert—that took the club out of royal family majority ownership for the first time in its history (for more on the Russian oligarchy in European football buy the new Howler issue here). At the time, Monaco were last in France’s Ligue 2 (second division) but, with the help of Rybolovlev’s investments, the club avoided relegation in 2011-12 and then, one season later in 2012-13, easily won Ligue 2. Rybolovlev then invested a staggering €160.7 million on 28 new players—including €43 million on the Colombian striker Radamel Falcao. The cash injection meant that AS Monaco could challenge for the very top of Ligue 1 right away, and the club managed to finish the 2013-14 season second, nine points behind the champions Paris Saint-Germain. 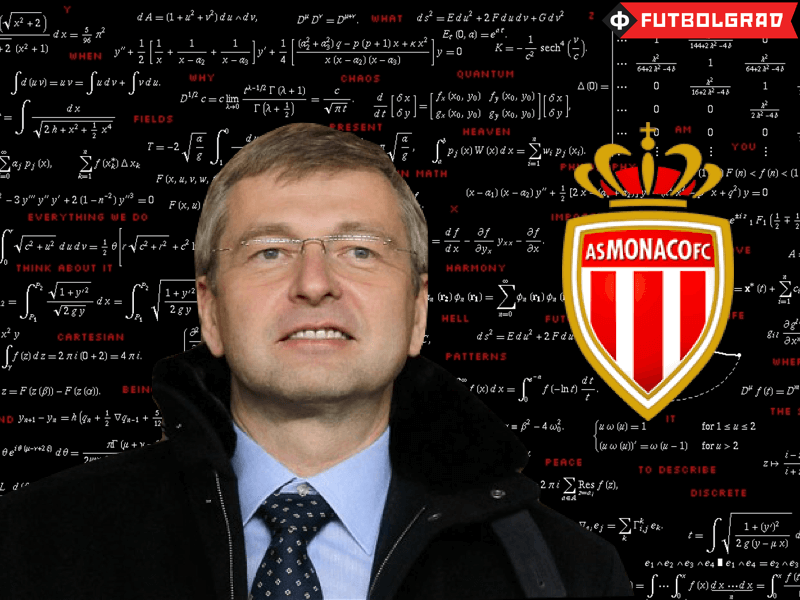 UEFA Financial Fair Play (FFP) rules, however meant that the club would, in future, have to invest more carefully—a costly divorce for Dmitry Rybolovlev may have also been a factor—which meant that AS Monaco had to change their business model. 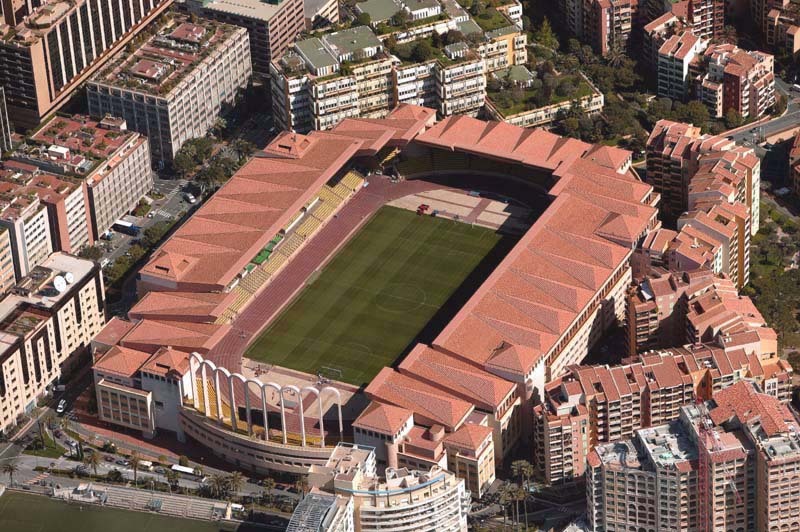 Monaco had a hard time convincing UEFA FFP watchdogs of the sustainability of Rybolovlev’s investments, as the club plays out of a small stadium—the Stade Louis II has a capacity of 18,523. Paris Saint-Germain (PSG), which are owned by Qatar Sport Investments, have also been hit with FFP sanctions but the club has a larger stadium than Monaco—Parc des Princes has a capacity of 48,712. Paris is also much more attractive for sponsors other than the Qatar Investment Fund, which meant that UEFA deemed the investments by the Qataris as much more sustainable. The often injured, and expensive, Radamel Falcao was loaned out to Manchester United, and the Colombian playmaker James Rodrígues—he had been the best scorer at the 2014 World Cup in Brazil—was sold to Real Madrid for €80 million. 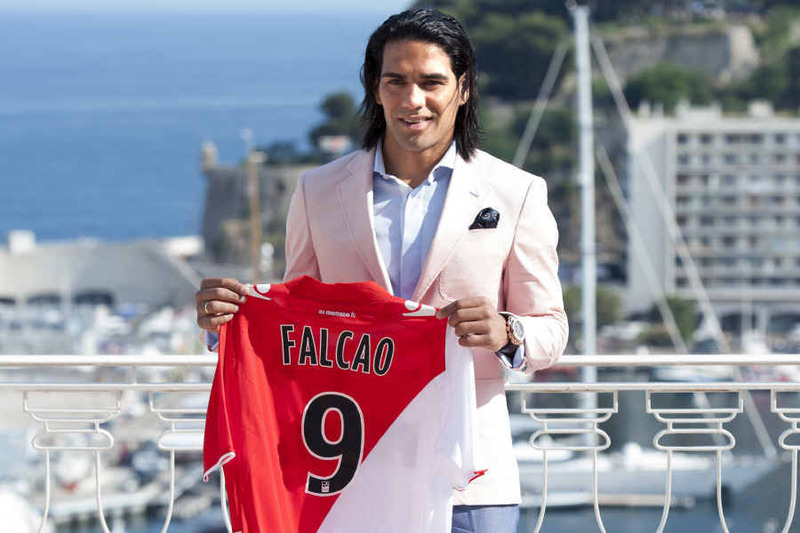 In the summer of 2014, Monaco sold 29 players for €94.12 million, and brought in 27 players for €39.75 million which generated a transfer profit of €54.37 million. The club then invested most of its money in younger players who could be developed and sold for a profit in the future—most prominently the talented Bernardo Silva, who was brought in for €15.75 million from Benfica Lisbon (the transfer details can be found here). The change in strategy meant that AS Monaco was able to reach a settlement agreement with UEFA over breaches of Financial Fair Play rules. But the settlement agreement also meant that the club was now forced to take further steps to break even their financial accounts until the 2017-18 season. In the summer of 2015 AS Monaco FC was able to take another big step toward reaching the break even stage required by UEFA, when the club managed another transfer profit of €66.5 million after selling 29 players for €162.5 million—including Anthony Martial, who was sold to Manchester United for €50 million, Geoffrey Kondogbia, sold to Inter Milan for €31 million, Layvin Kurzawa, sold to Paris Saint-Germain for €25 million, Aymen Abdennour, sold to Valencia CF for €21.84 million, and Yannick Carrasco, sold to Atlético Madrid for €17.26 million. Monaco also received €7 million from loaning out Falcao to Chelsea FC—the Colombian had previously failed to secure a permanent move to Manchester United the season before. With the money received, the club bought 30 players for €96 million, and the vast majority of the players brought in were between the ages of 18 and 23. The club, clearly, had started a policy in which they brought in players with an eye to developing and then selling them with a transfer profit in mind. This also meant that many of the players bought would not immediately play for AS Monaco. AS Monaco The Next Chelsea? One such example is the 20-year-old Brazilian attacking midfielder Gabriel Boschilia. 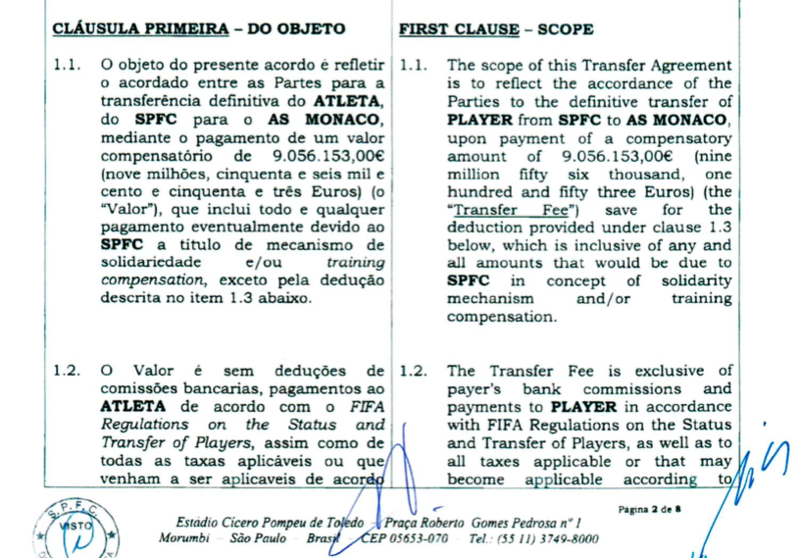 Football Leaks has recently leaked the documents related to Boschilia’s transfer from FC São Paulo to AS Monaco FC. The document shows that AS Monaco FC, which was represented by AS Monaco’s vice president, Vadim Vasilyev, paid €9 million for Boschilia. Boschilia, however, only managed five games for Monaco in the first half of the 2015-16 season, and was thereafter loaned out to the Belgium Jupiler Pro League club Standard Liege on January 9, 2016. Boschilia is one of 13 players that AS Monaco has loaned out this season. In many ways Rybolovlev seems to emulate the strategy of Roman Abramovich’s club Chelsea FC—Chelsea have built a loan network throughout Europe with 28 players out on loan. The idea behind this system is that players will either be developed to play for the first team in Monaco, or will be developed to a level at which they can be sold at a profit to a third club. AS Monaco finished the 2014-15 season third in Ligue 1, but failed to qualify for the group stage of the UEFA Champions League this season. With 31 games played, Monaco are currently second in Ligue 1, which would qualify them directly for the UEFA Champions League next season. The gap between Monaco and Paris Saint-Germain, however, is an astonishing 22 points this year which reduces Ligue 1 to a one club horse race for the title. Monaco will, therefore, have to qualify consistently for the Champions League, and also will have to find some creative transfer solutions in order to close the gap that separates them from Paris, for FFP regulations make it extremely difficult for Rybolovlev to further invest large sums in the club. Manuel Veth is a freelance journalist, and PhD candidate at King’s College London. Originally from Munich, Manuel has lived in Amsterdam, Kyiv, Moscow, Tbilisi, London, and currently is located in Victoria BC, Canada. His thesis is titled: “Selling the People’s Game: Football’s transition from Communism to Capitalism in the Soviet Union and its Successor States”, and will be available to readers later this year. Follow Manuel on Twitter @homosovieticus.